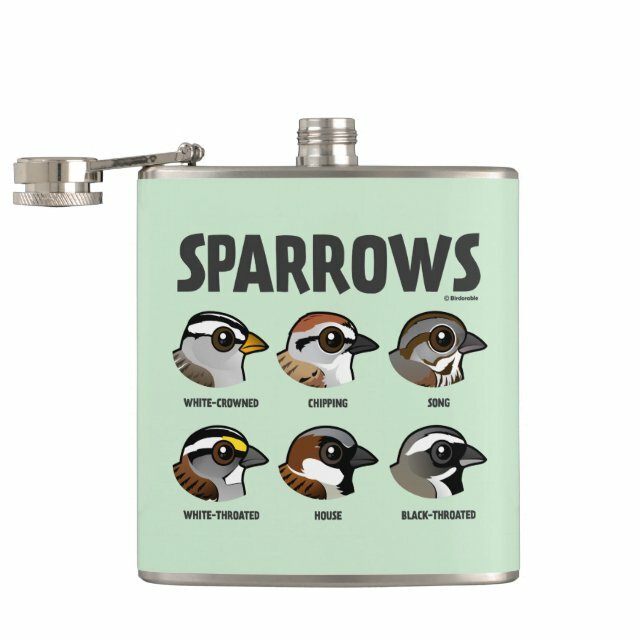 Six different sparrows are shown in profile in this cute original design from Birdorable. The birds are all found in North America, although the most common one isn't native (House Sparrow) . This is a cute gift idea for bird lovers! You can customize this gift! Move the design around, change the product color or style, add text or images -- make it your own! Be prepared and discreet with a custom Liquid Courage™ flask.